The history of Cognac actually starts in the third century. The region and the beverage Cognac has a long history and involves all kind of nations, merchants, kings and aristocrats, natural catastrophes, wars and cold winters. Despite all this, the product kept getting better and better, century after century. Read the full history of Cognac, “the spirit of the gods”. III. century: Roman Emperor Marcus Aurelius Probus reintroduces the law and grants the Gallic people to own vineyards and to produce wine. XII. 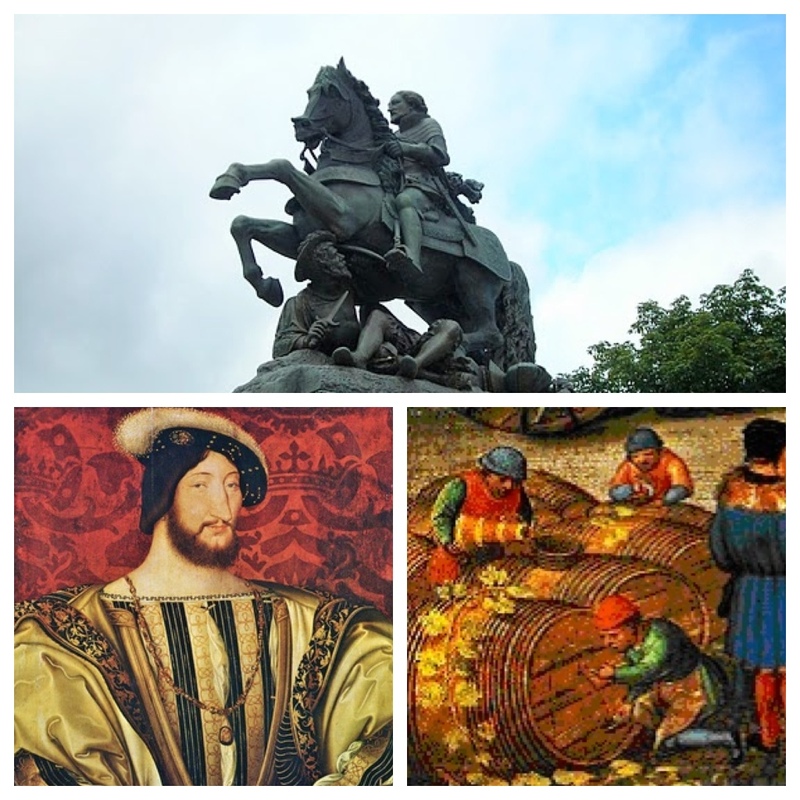 century: Guillaume X., the Duke of Guyenne and Poitiers, orders to plant vineyards in the region of Poitou Charente. 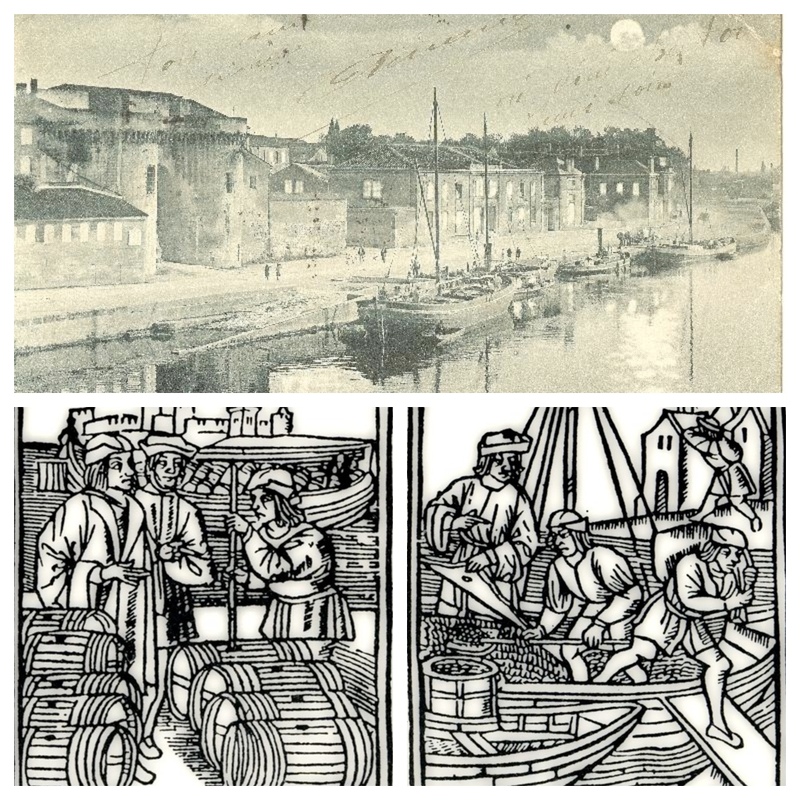 1204: First merchants from La Rochelle come to England to sell wine. 1270: Salt and wine from the region of Saintonge are traded in Hamburg (Hanse). 13th century: The Frapin family settles in the region of Charente. 1337: With the beginning of the 100 Year War between England and France, wine from the Charente region is exported to Great Britain. 1411: First, ‘brandy’ is distilled in the region of Armagnac. The consumers are mainly farmers. 1494: Francois I. (later on to become King of France) is born in Cognac. Years later, Francois will allow Cognac to trade salt by using the local rivers such as the Charente river. XI. century: Dutch merchants buy wine from the Champagne and Borderies area and ship them to the Netherlands. But they soon had to realise that wine suffers from transportation – so the Dutch started to distill the wine and call it Brandwijn. But distilling the wine was only a means for transportation, in order for them to be able to transport more. For consumption back in the Netherlands, they would add water again. 1500: Hieronymus Brunschweig from Alsace publishes the “Liber de arte destillandi” in Strasbourg: The book about the art of distilling. Even though the book deals with distilling from a medical point of view, it describes the technique of distillation. 1548: Farmers and aristocrats revolt against the salt tax in France. 1549: The first brandy appears in Cognac: Historian André Castelot reports about a merchant from La Rochelle, who produced four casks of good Cognac. 1559: The vineyards of the Aunis region produce too much wine, as demands are much lower than the amount produced. At the same time people now know that wine suffers from too long transportation ways. The Dutch are already using wine in their distilleries, so the excess amounts of the Aunis wine are being distilled. The word Brandwijn leads to the word Brandy. 1571: Second appearance of an eau-de-vie in Cognac: A Serazin purchase is noted. 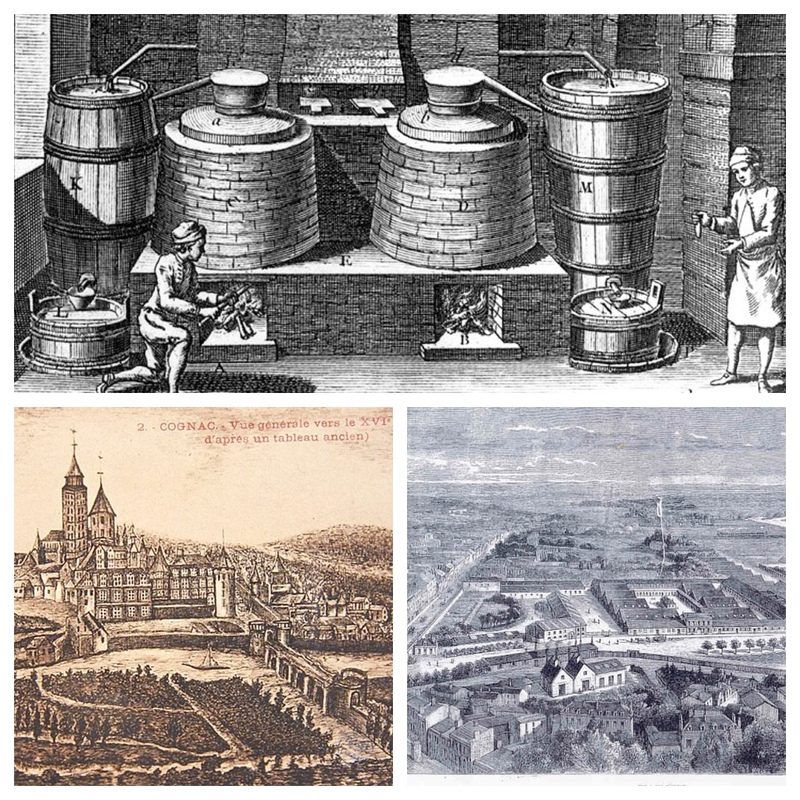 1624: Two Dutchmen, Van Der Boogwert and Loo Deyijck, found a distillery in Tonnay. 1636: Another riot occurs: the taxes on wine were simply too high. As a consequence the farmers were not able to sell their wine. XII. century: Wine merchants test the ‘double distillation’: the eau-de-vie is distilled twice. Originally, the double distillation process was done because of lower transport costs, as it lead to less quantity and volume. This meant more space on the ships. In the 17th century the Cognac was already transported in oak casks. This is when merchants found out that the taste of the beverage changed when stored in barrels. 1779: There are now ten trading houses in the centre of the town of Cognac. 19th century: Cognac is no longer sold in barrels but in bottles. This leads to the birth of a whole new industry: bottles, cork. By the end of the 19th century the wine fretter catastrophe happens: 280.000 hectares of wineyards go down to 40.000 hectares. 1872: The wine fretter appears in the region of Charente. Because of the destruction of Cognac vineyards, the Whisky market grows. 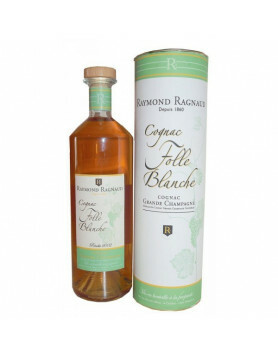 20th century: Grape-vines are imported from Northern America, Ugni Blanc replaces Folle Blanche and Colombard. 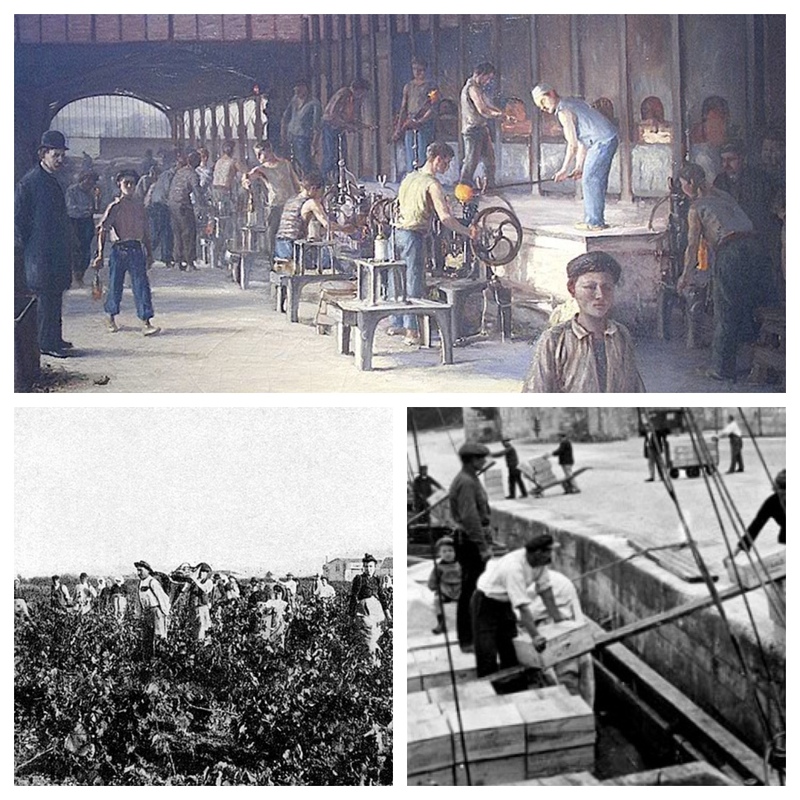 The production of Cognac become more restricted and controlled. 1923: Cognac brands Hennessy and Martell begin to exchange information about export markets. The knowledge agreement lasts 29 years. 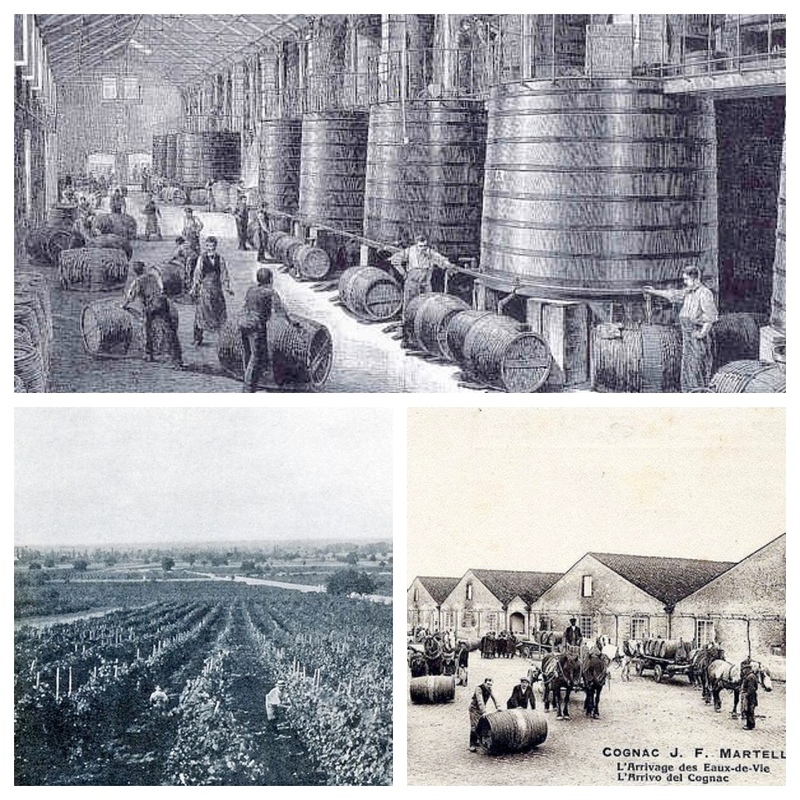 1936: New rules for Cognac production: the wine for distillation must be produced out of white grapes. The addition of sugar is strictly forbidden. 1990’s: Busta Rhymes releases his song “Pass the Courvoisier” which leads to a massive upshift in cognac sales in the US. 2001: Seagram (Martell) is acquired by Pernod Ricard and Diageo; and Hennessy broke the sales record with 35 million bottles sold worldwide. 1995 – 2000: The market of the US becomes more and more important for the Cognac industry: Rappers and HipHop musicians make the beverage extremly popular in the US. 2008: LVMH acquired a 55% stake in one of China’s top producers, Wenjun Distillery. 2010: China becomes the largest market for Hennessy cognacs, in terms of value. 2011: Moet Hennessy has announced the planting of its first vineyard in China in partnership with Ningxia Nongken (the state owned agricultural company). Today, Cognac is one of the most important export products of France, 98% of the produced cognac is exported. While the US became the most important market in the 90’s, in 2012 Asia, especially China, becomes the most important market for Cognac. Amazing, thanks for that history list. Perhaps one should add, that the Cognac exports and the whole market entirely changed in the 1990’s until 2005: the shift to US American markets and lately of course the Chinese and Asian growth of Cognac products. And not to forget the fakes which are produced in eastern Europe, Russia and China. I think this has also an important impact on Cognac sales and markets. It somehow started 2000, that fake & fraud producers would become more active. The Hanlissy is really a great example. La photo/ peinture de Francois 1er, n´est en fait que celle de Louis XIV . Wahnsinn. Genau so etwas habe ich gesucht. Vielen Dank für diese schöne auflistung und die Arbeit die dahinter steckt. Can’t believe such a long history of drinking Brandy/Congnac. It must be longer than history of many nations exists today. Very interesting! What do you know about Sazerac de Forge et Fils, a cognac house dating to 1782 and located in Angouleme? No mention of Kvint? It is our favourite. Hm, not a lot! Does it still exist? I have heard about Sazerac though.. 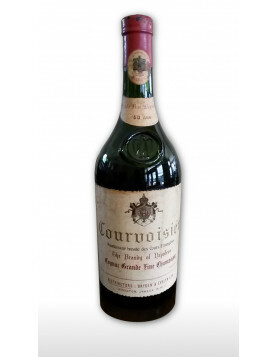 I have heard of both Cognacs mentioned above, the brand has gone through numerous changes since its conception. 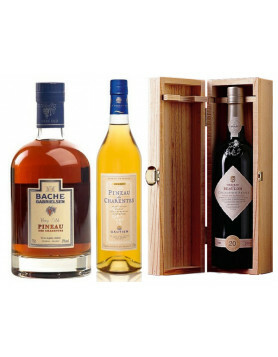 Gautier is one of my favorites, in fact, it is/was one of the best Cognacs I have ever tasted. St. Martin was another one which was released briefly that I bought from a Military discount store. They had also produced “Le Poirelle” as a liquor aperitif that was out of this world. I went back to get some more but could not locate one. The bottle itself looked so elegant I did not want to open it…… Almost a year ago I picked up a bottle to treat myself, just opened it yesterday, magnifique!!!!! XVI. century … since the discovery of the Dutch dates from the 16th century!